Start at where the finger rest (or tang) is attached to the frame of the finger hole out to the tip of the blade. Note that scissors with crane handles when compared to standard handles, will often have a proportionally shorter blade length compared to the overall length. 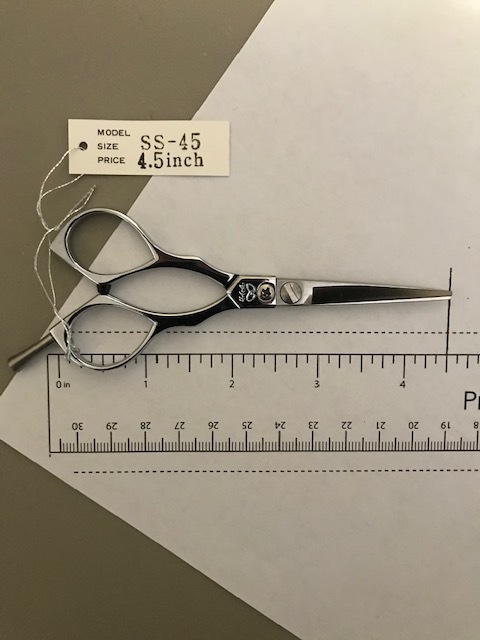 We have found that it is important to compare blade lengths of scissors and not just the overall length.